You have to love tzatziki for its simplicity if nothing else, Often served in and amongst a mesa of other bit and pieces tzatziki is eaten as a dip with just about everything. 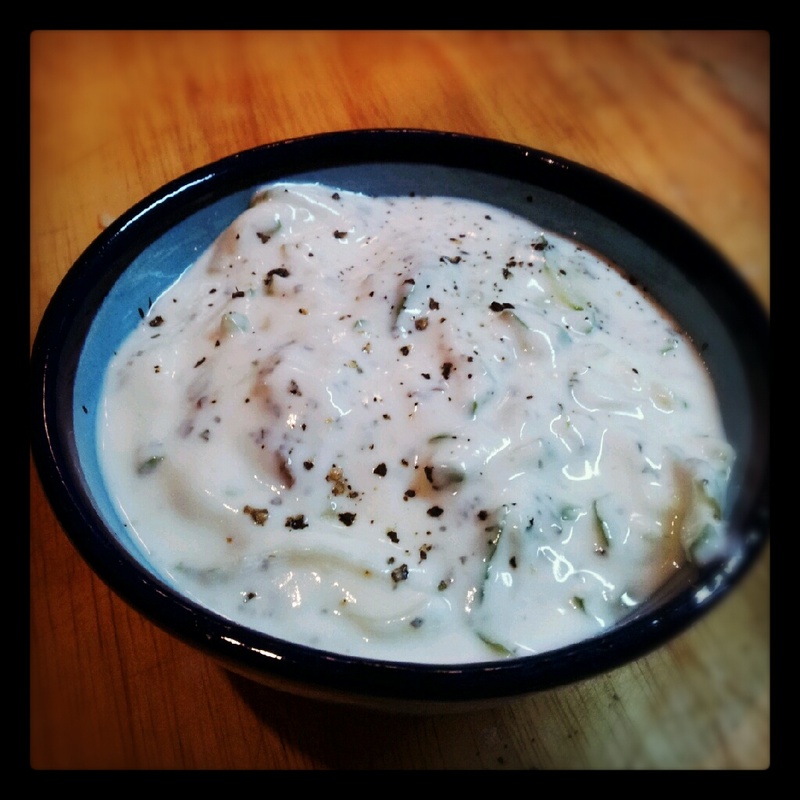 Put your Greek yogurt into a bowl, crush the garlic clove and grate the cucumber, add these to the yogurt and mix them in. Finley chop the mint leaves and mix these into the rest. Add a pinch of sea salt and grind in some black pepper to your own taste. Tzatziki will keep covered in the fridge for two to three days.